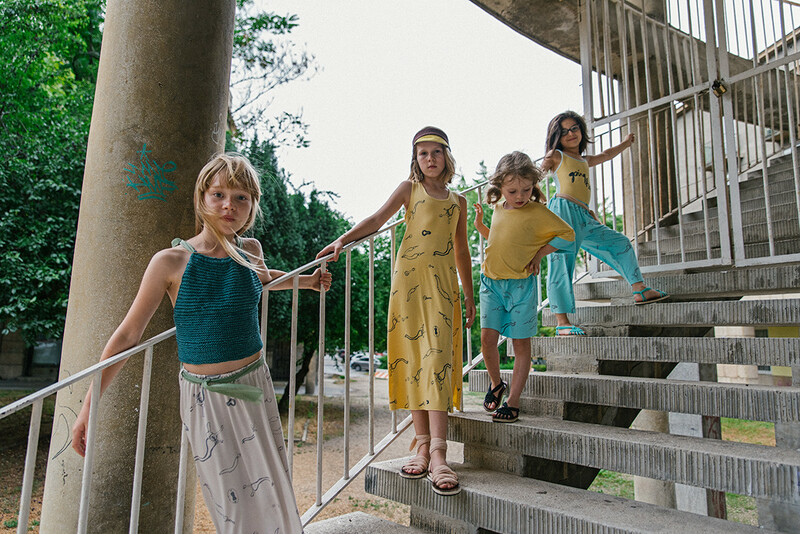 Manuela Kids present Going Home, their Spring Summer ’18 collection that pays tribute to the designer’s unique upbringing in Hungary in everyone’s favourite decade—the 1980’s. 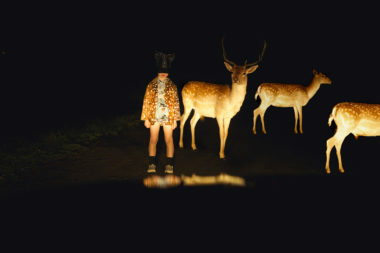 Evoking the spirit of unsupervised adventure, the juxtaposition between urban block housing and abundant wild nature, and the independence of a latch-key childhood, the collection is brimming with charming contrasts of its own. Employing a warm palette of apricot, turquoise, moss, and lemon cream with ample doses of sand, the central motif is an original drawing of keys, the sort you wouldn’t want to lose on your way home from summer camp or the playground. 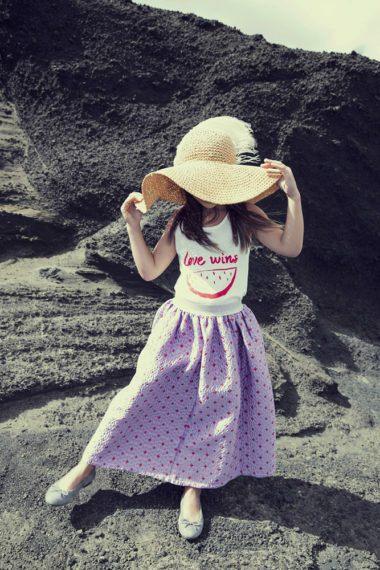 With playful ruffles accenting tops and shorts, drawstring rucksacks, and casual crop tops, the girls’ range is casual and cool, breezy and loose. We love the waterproof jackets and bags and one-pieces that double as swimwear. This season sees the inclusion of several 100% organic cotton pieces, what’s not to love about that?